I used a large polka dot embossing folder on black cardstock for my background. Added my googly eyed monster and a little traditional Halloween saying! And a little dripping goo too! Hope you join us this week! 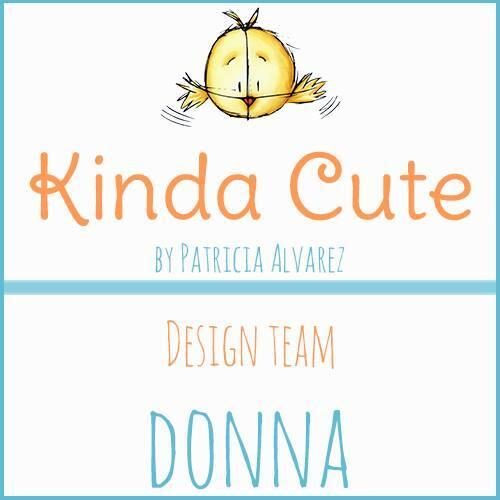 And if you are our featured winner, you can get a new badge for your blog too! What a fantastic Halloween card! I love that googly-eyed monster! I'm loving the google eyes and that little witch is so cute! 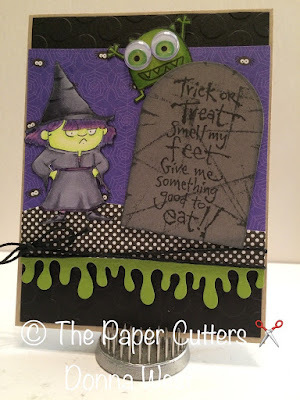 Donna I am loving this quirky and fun halloween design. Love those large embossed dots (and of course, the googly eyes). Totally love it!! Great job on all the details!